Artist, writer, singer, guitar picker, painter, claw hammer banjo player, eco-village member and believer in all things possible. You’ll be pulled in by the magic and musical world he creates and you’ll end up in the moment, humming & buzzing with the rest of the crowd. He’ll sing to you ~ You’ll sing with him…He’s plumbing for lyrical gold, like some kind of social archeologist. His story songs are universal, masterful and his concerts are a grand celebration of all of us. There IS a “Long Note” and Joe is reaching for it. From the first strum of his 1948 Gibson, through stories of ruby red dresses, Tinian Island, Dylan Thomas, Taoist parables and drunken roosters you’ll be drawn in. It happens every time. Watch a YouTube video. It’s good, but it’s not the same. You gotta come to the show. Joe was recently signed to Tamulevich Artist Management along with fellow songwriters John Gorka, Red Horse and Peter Yarrow. He lives in Ithaca, NY, and tours regularly in the US, Ireland and Canada. “Album of the Year” by the International Folk Alliance in Memphis, TN. “I am learning to trust that my voice as a songwriter. Be who i am. trust the stories and follow no trends. More and more I find that when I tell my true story, it has wider breadth, deeper impact, and resonates more clearly. After years of creating, I do feel as though I’ve honed a way of writing and performing that has identifiable themes and expresses my quirky uniqueness. Joe Crookston is a master storyteller. His music swirls with themes of lightness, darkness, clocks ticking, weeping willows, cynicism, hope, and the cycles of life and rebirth. 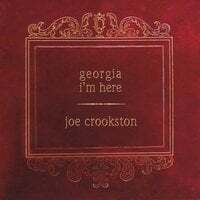 If you love a moving song and musical madness, Joe Crookston delivers it all, the melodies, the lyrics, the energy, and a deep passion for exceptionally well-written songs. Haven’t seen him perform? Promise, you’ll be more than glad you did. COVER SONGS: His music has been recorded and performed by Irish harpers, a cappella gospel choirs, solo artists, and numerous national and international performers. SOLO: Joe performs regularly as a solo artist. His blend of guitar mastery, story songs, humor, unstoppable energy and rhythm bring the house to their feet at almost every show. DUO: (For select dates) Joe is available as a DUO with Peter Glanville on six-string guitar, tenor guitar, and vocals. Glanville is also from Ithaca, NY and plays extensively on Joe’s 2011 “Darkling & the BlueBird Jubilee” CD. TRIO: (For select venues and festivals) Joe is available with his trio “The BlueBird Jubilee” with Peter Glanville on six-string guitar, tenor guitar, and vocals along with Ithaca resident and keyboardist Nate Richardson on Rhodes, piano and vocal harmonies. WORKSHOPS/RETREATS: Joe enjoys teaching and facilitating. For select dates he is available for songwriting workshops in conjunction with a public concert. He is an experienced facilitator, and has been invited to teach at many retreats including SummerSongs, The Swannanoa Gathering in North Carolina, and the Yearly Quaker Gathering in Rhode Island. VISUAL ART: For select concerts, Joe displays his acrylic and oil paintings combining his visual art with his music. As a painter and songwriter, Joe brings his love of imagery to life on stage, in his songs and to the canvas.